YouTube Video Thumbnails are the small images that are clicked by the viewers to watch the video. When you upload a video, YouTube automatically selects the thumbnail from the video. You will be given three choices which are automatically generated. Automatically generated thumbnails sometimes do not appear appealing and do not tell the viewers what is there in the video. Here are few tips to make the perfect custom YouTube Video Thumbnails to get the viewers attention. 1. To have a perfect thumbnail for your YouTube video, you can take photographers to take the still photographs at your shoot and use them as thumbnails. 2. While editing the video choose a still photo and export it to be the thumbnail. 3. It is a good idea to have a person in the thumbnail. 4. The image of a person looking straight into the eyes of the viewer in the thumbnail draws many people. 5. Close up images of human beings attract the attention of the viewers. 6. Faces that display emotions can be chosen as the thumbnails for the videos. 7. Depending on the content of the video, you and chose happiness, peacefulness etc emotions. 8. Ensure that the thumbnails look good both on large screen devices and small screen devices such as mobile phones. 9. The image in the thumbnail must be bright. 10. To make the image stand out, use bright and contrasting colors. 11. Studies revealed that yellow color, when used as the background color for the thumbnail, get a number of views. 12. Add brand to the thumbnail so that viewers can associate with the brand and the content. 13. Adding branding to the thumbnails also ensures that viewers can know that the video is official. 14. Text can be added to the thumbnails to clarify the content. 15. Do not add more than six words to the thumbnails. 16. Take care that the text on thumbnails is visible on small screen also. 17. 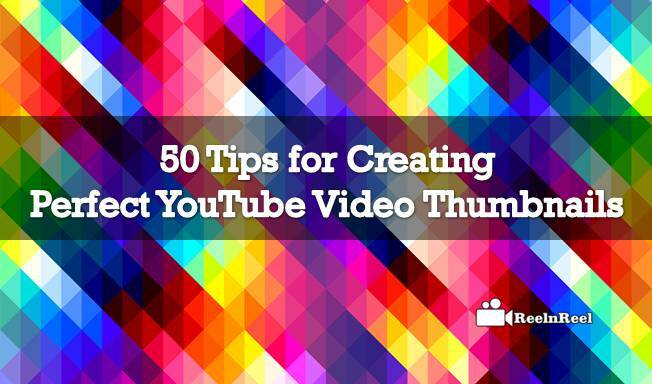 Use contrasting colors for the text on thumbnails to easily catch the attention of viewers. 18. Do not set for the default colors in the image. 19. Use unique colors in the thumbnails. 20. Use online tools to combine unique colors. 21. Use consistent design thumbnails for your videos so that viewers can easily identify the videos. 22. If your video is about a product, try putting the image of the product in the thumbnail. 23. Use an action shot to the thumbnails to add a sense of motion which encourages the viewers to click the image. 24. Ensure that the action shot is clear. 25. Do not use any image that has no relation to the content of the video. 26. Use the thumbnail that perfectly represents the content of the video. 27. Ensure that the title of the video and the thumbnail are working well. 28. Use high definition images, the image should not be blurry. 29. The thumbnail should be at least 1280 x 720 pixels or 1920 x 1080 pixels. 30. The image format should be JPG, GIF or PNG. 31. It should be under 2MB. 32. The aspect ratio of the thumbnail should be 16:9. 33. The thumbnails can be made unique by duplicating overlays. 34. A/B tests your thumbnails. 35. A casual user who is scrolling down should be able to see and understand your thumbnail. 36. The thumbnail should be able to tell the story of the video. 37. Another important thing to remember is that the thumbnail should represent first 30 seconds of the video. 38. If the thumbnail is misleading, the audience will feel duped. 39. Look at the thumbnails of other channels with same content and analyze them. 40. Do not use out of focus images. 41. Try choosing the thumbnail that conveys the subject of the video content and compels the viewers to watch it. 42. Thumbnail should be visually attractive. 43. Do not use light colors as it has to look unique and good even on small display devices. 44. If you are creating a playlist, the first video of the playlist can have the thumbnail containing the playlist format. 45. Having the spokesperson’s image in the thumbnail is great. 46. Use Photoshop to enhance the look of the image that is chosen as the thumbnail. 47. There are other places where you can create the thumbnail and these are PicMoney.com, Fotor.com etc. 48. When you are using video editing software, you can take the screenshot of a still image in the video that can be used as a thumbnail. 49. A simple way to catch the attention of the viewers is to add a border to the thumbnail. 50. Use cartoon images of the characters in your video. This helps differentiate your videos. Custom thumbnails can increase the viewership. These should be used correctly so that they can help in the promotion of the video. Choose the best thumbnail that portrays your video. Thumbnails can be updated later also for the videos whose performance is not up to the mark.